A month ago ARA San Juan vessel was on its way from the port of Ushuaia to the city of Mar del Plata, however, contact with it was lost. The search operation hasn't borne fruit so far. MOSCOW (Sputnik) — On December 16, La Nacion reported that Argentine Adm. Marcelo Eduardo Hipólito Srur was let go by defense minister Oscar Aguad. The conversation took place the night before shortly after Aguad formed a special commission to investigate the tragedy, according to the report. It is still unknown who will succeed Srur as the head of the country’s naval force. His duties will be temporally performed by Vice Admiral Miguel Angel Mascolo, the newspaper noted. — Social Media Info (@Social_Media_e2) 16 декабря 2017 г. On November 15, the ARA San Juan with its crew of 44 stopped communicating during a routine patrol in the South Atlantic off the coast of Argentina. A large-scale search and rescue operation was subsequently launched, involving vessels and equipment from various countries. An international search operation has failed to locate the vessel. 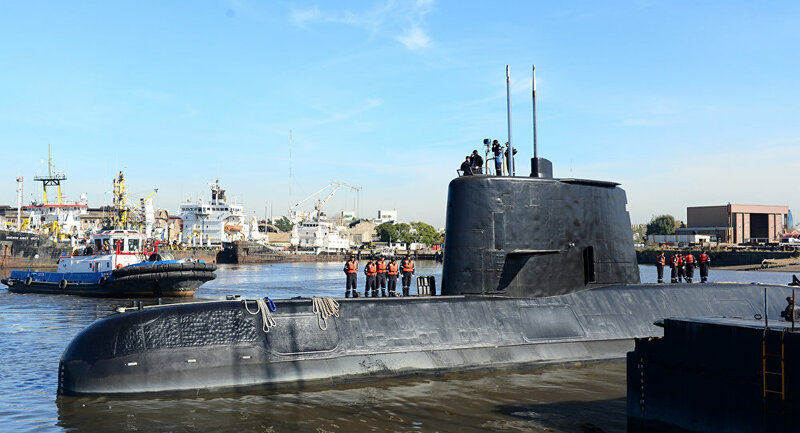 On November 30, the Argentine Navy announced the end of its rescue activities but specified that the mission to locate the vessel was still ongoing.